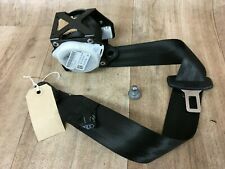 2012 MK1 Audi A1 8X FRONT SEAT BELT REEL LH Passenger Side. Part Number - 8X3 857 705 C. Please make sure part is correct before purchasing. We try to describe our parts as honestly as we can, however please also see our images in case we have missed anything. Any questions please ask. International buyers please contact us for price and availability of postage to your location. Removed from below vehicle -. AUDI A1 S LINE DR SIDE SEAT BELT 2016. YEAR : 2016. MODEL : A1. MAKE : AUDI. DRIVER SIDE SEAT BELT. All parts are in used condition and are checked before removing from car. Important Information. This applies to UK mainland only. Full working Order Tested. Our Ref:H 81. Audi A1 8X 3 door Driver Side LH front seat belt buckle stalk. Part number8X0857755B. FRONT RIGHT OSF - PART NUMBER 8X4857706B. 2016 AUDI A1 Seat Belt. This item has been removed from a: 2016 AUDI A1. Year: 2016. Body Style: Hatchback. Make: AUDI. Vehicle Colour: Red. All parts are stamped & removal of the marks will invalidate your warranty. PART NUMBER- 8X0857805. AUDI A1 SPORT 2014. THIS HAS BEEN REMOVED FROM AN AUDI A1 (2014). OS ( DRIVER) REAR SEAT BELT. AB, BT, HS,JE,KA, KW, PA, IM, IV, ZE. IN GOOD CONDITION & IN GOOD WORKING ORDER. 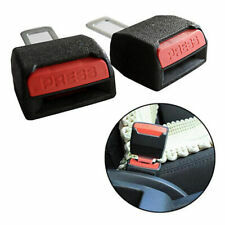 Nearside Front Seatbelt Fastener. A1 TDI Contrast Edition (MK1 (8X) (ABS). 3 Door Hatchback. The table below contains further information. Electric Front Windows, Electric Door/Wing Mirrors. Vehicle Photographs & Guide. ). AUDI A1 2011-2014 BLACK PASSENGER LEFT REAR SEAT BELT. Driver Position Fuel Type Body Type Front & Rear. Body Colour Body Panels. PCS Part ID. PCS Part ID. Model - Audi A1 8X. Paint - Black LY9B. Fuel type - Petrol. NOT an S line. AUDI A1 S LINE 2014 3 DOOR MODEL. 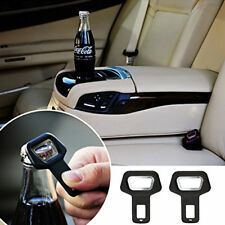 DRIVERS SIDE FRONT SEAT BELT BUCKLE. AJ SPARES is a large independent Vehicle Dismantlers. P/N 8X0857756. COLOUR- BLACK. 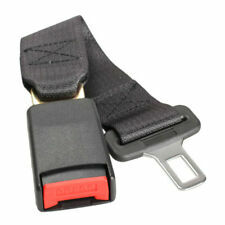 (AUDI A1 Seat Belt 0000365776. Other Details: Mk1 (8X) Right Front, Satin Black for Hatchback w/Belt Tensioner 10-18 Mk1 O/S Front Seatbelt For Hatchback. Pre-Tensioned 8X3857706C. Jersey, Guernsey, Scilly Isles) as well as for the Scottish Highlands. Driver Position Fuel Type Body Type Body Colour Front & Rear. Body Panels. PCS Part ID. PCS Part ID. Nearside Rear Seatbelt. A1 TDI Contrast Edition (MK1 (8X) (ABS). 3 Door Hatchback. The table below contains further information. Vehicle Photographs & Guide. Electric Front Windows, Electric Door/Wing Mirrors. ). 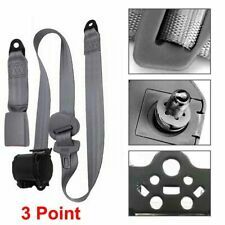 (AUDI A1 Seat Belt 0000305753. 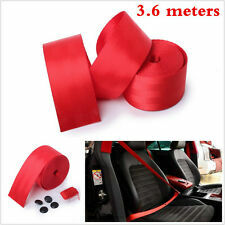 Other Details: Right Rear Seat Belt Assy 10-16. Jersey, Guernsey, Scilly Isles) as well as for the Scottish Highlands. 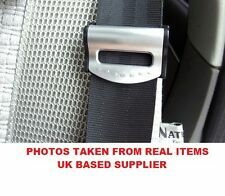 (AUDI A1 Seat Belt 0000305751. Other Details: Mk1 (8X) Left Rear Satin Black 10-16. Jersey, Guernsey, Scilly Isles) as well as for the Scottish Highlands. 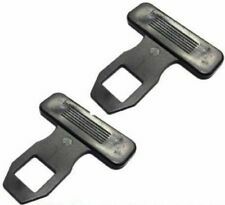 $AUDI A1 8X PAIR REAR SEAT BELTS BLACK PART NUMBER - 8X0857805D TAKEN OUT OF 2015 SPORT A1 3 DOOR - EXCELLENT CONDITION PLEASE NOTE - GENUINE PREVIOUSLY USED PART An item that has been previously used. The item may have some signs of cosmetic wear, but is fully operational and functions as intended. Please note eBay's Compatibility Checker does not take into account model specific parts and only generalises correct fitments. Please use Part Numbers that we providing for compatibility. WE SUPPLY GENUINE USED AUDI PARTS We maintain a clean and safe environment and are fully licensed and regulated by the Environment Agency.Audi parts available off the shelf, and because they are all genuine parts, quality and correct fitments is always guaranteed. P/N: 8X4857805C. 2014 AUDI A1 8X. AUDI A1 Seat Belt 0000346711. Other Details: Mk1 Left Rear Satin Black 10-16 year 3-door passenger n/s rear 8X0857805. PART NUMBER: 8X4857739C. IRELAND, ISLE OF MAN, ISLE OF WIGHT, JERSEY. GENUINE 2010 - 2015 VW AUDI A1 REAR TWIN SEAT. A1 GERMAN BREAKERS UK LTD. BELT BUCKLE 5 DR. A1 GERMAN BREAKERS LTD. SEE PICTURES. (AUDI A1 Seat Belt 0000363172. Other Details: Mk1 (8X) Right Front, Satin Black for Hatchback w/Belt Tensioner 10-18 3Dr Drivers Front Seat Belt 8X3857706C. Jersey, Guernsey, Scilly Isles) as well as for the Scottish Highlands. NS is Nearside, Left, or the passenger side in the UK. COLOUR CODE -V04 BLACK. AUDI A1 2011-2014 BLACK CENTRE REAR SEAT BELT WITH BUCKLE. OS is offside, right, or drivers side in the UK. We won’t take any responsibility for the compatibility of parts unless we have explicitly said it will fit. PART NUMBER: 8X4857805C. GENUINE 2011 - 2015 AUDI A1 OSR DRIVER / NSR PASSENGER. REAR SEATBELT. A1 GERMAN BREAKERS UK LTD. A1 GERMAN BREAKERS LTD. We are much cheaper than the MAIN DEALERS. Complete Front end panels. 2013 AUDI A1 Seat Belt. This item has been removed from a: 2013 AUDI A1. Body Style: Hatchback. Make: AUDI. Fuel type: Diesel. Part Type: Seat Belt. left rear,black. Year: 2013. NS is Nearside, Left, or the passenger side in the UK. AUDI A1 8X 2011-ON CENTER REAR SEAT BELT. OS is offside, right, or drivers side in the UK. We won’t take any responsibility for the compatibility of parts unless we have explicitly said it will fit. 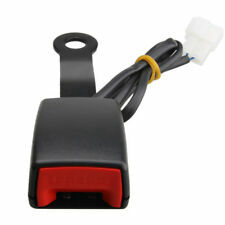 NEARSIDE FRONT SEATBELT BUCKLE STALK. 2014 AUDI A1 SPORT 3 DOOR HATCHBACK. REMOVED FROM A 2014 AUDI A1 SPORT 3 DOOR WITH A 1.4 TFSI PETROL ENGINE & 7 SPEED S TRONIC AUTOMATIC GEARBOX. G&A Car Spares, established 2010. Donor Car: 2011 Audi A1 Hatchback 1200cc. The New and Used Audi Parts Specialist for all Audi models worldwide. It may fit others. Audi Part Number: 8X0 857 805. Model - Audi A1 8X. Paint - Black LY9B. Fuel type - Petrol. Bodystyle - 3 door. NOT an S line. AUDI A1 1.0 LITRE PETROL TFSI 2016 MODEL. 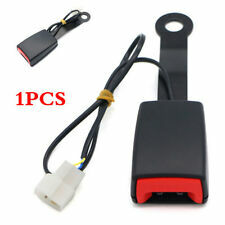 DRIVERS SIDE FRONT SEAT BELT BUCKLE. P AINT CODE - LB9A SHELL WHITE. AJ SPARES is a large independent Vehicle Dismantlers. PART NUMBER - N/A. ENGINE CODE -. REAR TWIN SEATBELT BUCKLE REMOVED FROM A 2014 AUDI A1 SPORT. GLASS AND BODY PANELS. WE WILL DO OUR BEST TO RESOLVE THE ISSUE. Make sure you are buying the correct item as it is your responsibility to make sure the part you are buying will fit your vehicle. Radios are sold without codes unless otherwise stated. NS is Nearside, Left, or the passenger side in the UK. AUDI A1 8XA 2012 5 DOOR. AUDI A1 2012 1.6TDI. 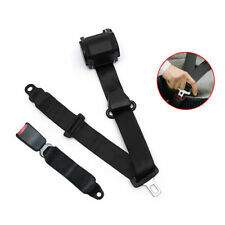 REAR LEFT & RIGHT SEAT BELT BLACK. OS is offside, right, or drivers side in the U K. PART NUMBER -. Offside Rear Seatbelt Fastener. A1 TDI Contrast Edition (MK1 (8X) (ABS). Exterior Colour Code. 3 Door Hatchback. The table below contains further information. Manual 6 Speed (NKL). This item is a used vehicle part and as such may have signs of general wear/handling. ). 2013 AUDI A1 Seat Belt. This item has been removed from a: 2013 AUDI A1. Body Style: Hatchback. Make: AUDI. Fuel type: Diesel. Vehicle Colour: Silver. All parts are stamped & removal of the marks will invalidate your warranty.